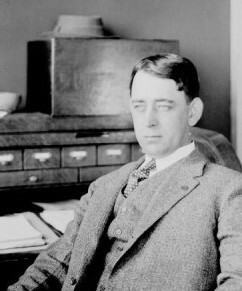 Frank P. Allen, Jr., was hired in January, 1911, as Director of Works for the Panama-California Exposition. Allen had been manager of Seattle’s 1909 Alaska-Yukon-Pacific Exposition. There he had achieved a minor miracle by completing the buildings before the exposition opened. In May 1911, a Park Board appointed by Mayor James Wadham opposed paying Allen $25,000 a year and proposed hiring general contractors instead. They questioned using park improvement money for temporary construction. Allen’s authority was confirmed by a new park board following the resignation of the old board. Allen designed the Roman aqueduct–style Cabrillo Bridge, the neoclassical-style pergolas in the Montezuma and Botanical Gardens, the Romanesque colonnade between the Foreign Arts Building and the Commerce and Industries Building, the Italian-Renaissance Sacramento Valley Building, the Mexican-Churrigueresque San Joaquin Valley Building and the mission-style Montana Building. As he had done in Seattle, all buildings were ready one month before the opening of the Exposition. Allen’s estimate for their erection had been $2 million. In November 1914, he reported his total outlay as $1.8 million. In addition, he estimated the value of his free services outside the Work Department at $350,000. An audit of pre-Exposition operations, concluded by Palethorpe, McBride and Probert of Los Angeles, March 29, 1915, gave the total charges for construction of the Division of Works as $1,937,445.